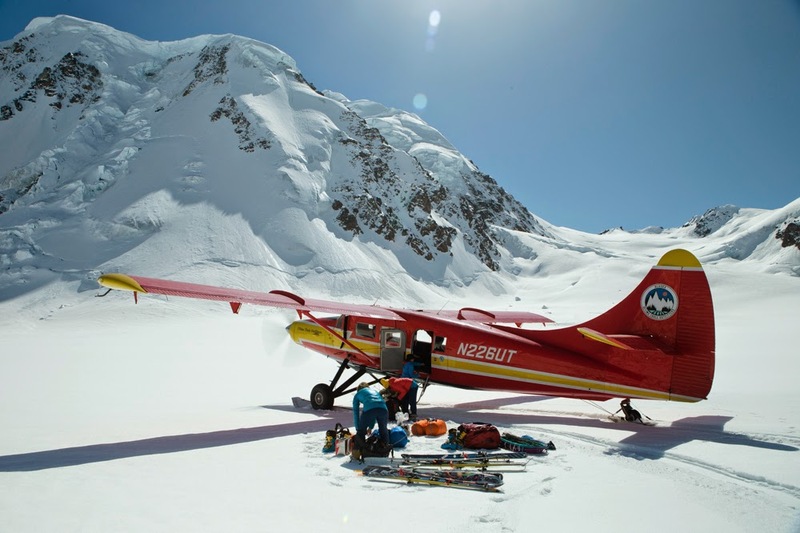 A ski mountaineering adventure, Alaskan style! 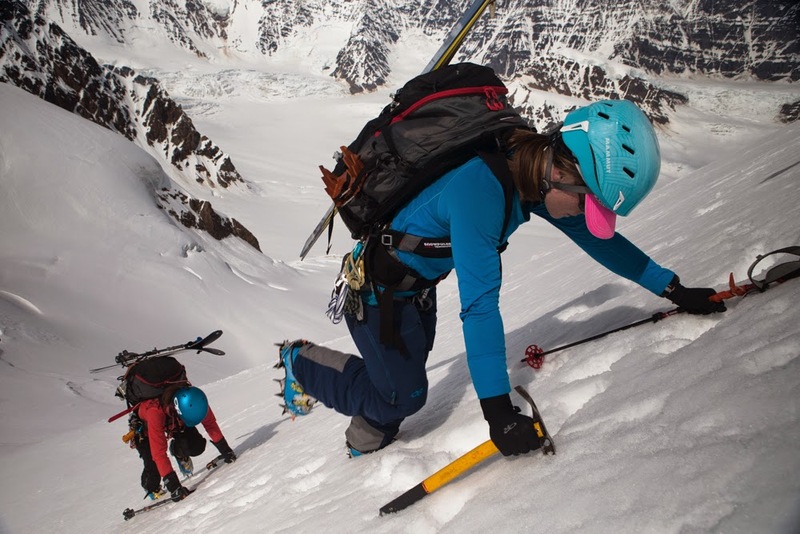 Last month, three friends and I spent 10 days ski mountaineering in the Wrangell-St. Elias Range of Alaska. The main objective that inspired our trip was the south face of University Peak. Leading up to the trip, we heard that Alaska was having a very low snow year—perhaps one of the lowest in 20 years. Friends of ours were able to take a photo of the face we wanted to ski a few weeks before our departure, and some bluish grey ice was already showing. We were hopeful that maybe some wet storms would roll through before we got there, and plaster the peak. Unfortunately, as we flew past her incredible south face, University was clearly out this season—unless we wanted to switch from a skiing trip to an ice climbing trip! When an objective is clearly out, it makes the decision to head for a different objective that much easier. Our plan B landed us on a large tongue of the Barnard Glacier at around 7200 feet. This zone had huge lines in every direction, and many more that were just out of site from our base camp. We lucked out with amazing weather, and we skied all day, everyday. A theme presented itself with the heat of the sun and we had summer-like conditions on the glacier and steep faces. 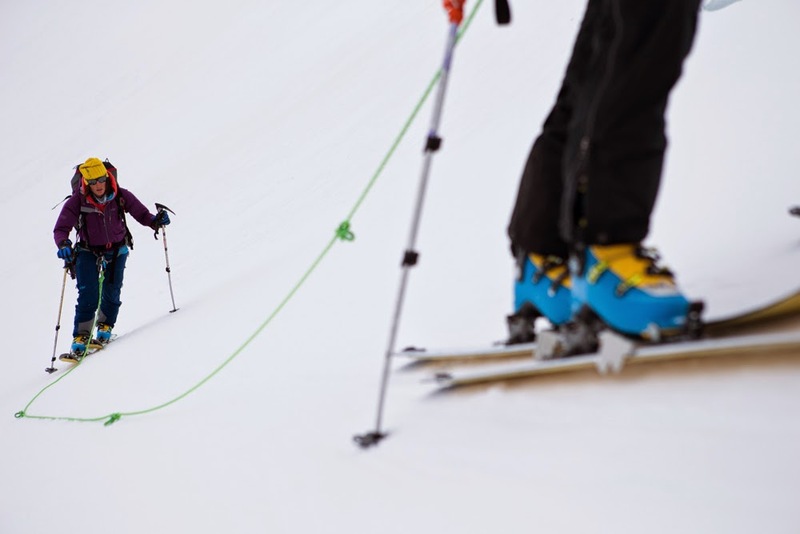 While the skiing was mostly all firm, it made the climbing easier, and kept our edging skills in check. 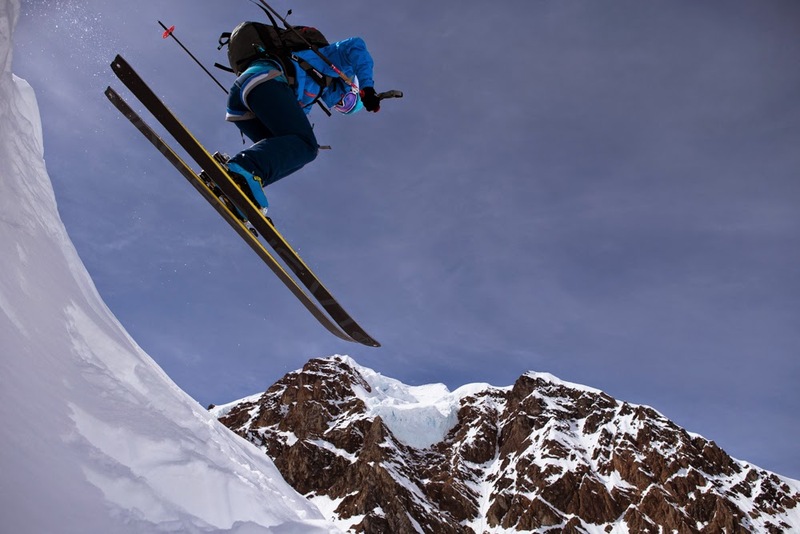 We skied some interesting, steep lines that inspired, humbled, and excited us. In the heart of its wilderness, Alaska did not disappoint. Flying back out past University, we longingly looked at her south face, all thinking the same thing as Sheldon shouted over the engine noise, “I WANT THAT!” We all smiled in agreement. I have a feeling we will be back someday soon.